It’s a huge London Derby on Friday as Fulham head to The Den to try and get three points against the Capital’s second most in-form team. As ever, George Singer has your lowdown on our upcoming opponents. It’s got to the time of the season where the fixture list is full of ‘6 pointers’, and ‘must wins’, and this all-London clash is no different. 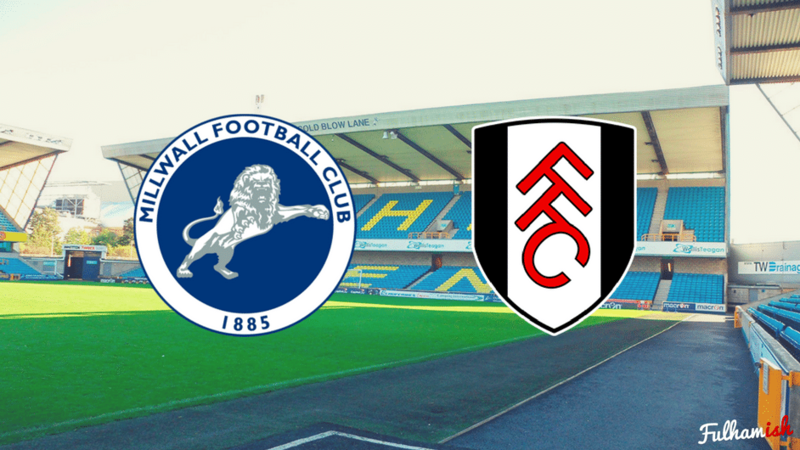 Fulham and Millwall square up in what’s promising to be a titanic encounter between two sides on lengthy unbeaten runs, who know a draw is of little value to either team. The Whites realistically need to win the 3 points, at an inevitably intimidating Den, if we want any chance of pipping Cardiff to automatics. So what do we need to look out for from the Lions? A couple of days after our dramatic 5-4 win against Sheffield United, Millwall visited the Cottage in a pretty drab affair. Despite bossing possession, Fulham never really looked comfortable. In the end a single goal from Norwood, slotting home a penalty earned by Rui Fonte, proved the difference and earned the 3 points for the Whites. However, Millwall were a danger throughout, and left the game rightfully feeling frustrated to come out empty handed. Their usual bombardment of aerial attacks were barely dealt with, and twice they hit the post. If this game is anything to go by, we’re surely in for a tough time on Friday. Throughout the season, Neil Harris has stuck with the tried-and-tested 4-4-2. Not once this season have they played in any other formation. By being consistent with strategy, and using a now very settled XI, the Millwall players have a clear and simple gameplan, which has allowed them to thrive. You’d put your house on the exact same eleven to show up on Friday evening. Their motto is simple – get the ball forward quickly, with long balls and crosses from the wing. They’re also resolute in defence, work bloody hard, and have a clear gameplan. Despite only having 2 men in central midfield, almost a rarity these days, their defensive organisation and determination more than makes up for it. If we think that Cairney and Johansen will have a gentle game in the middle of the park, they’re definitely mistaken. Not unlike our Roy Hodgson days, the key to Millwall’s success is down to their team’s organisation helping them become more than the sum of their parts. However, the man I’ll be watching out for on the night is veteran Steven Morison. Morison has decent scoring statistics this season, with 5 goals and 8 assists, however this doesn’t do justice to the role he plays in the team. He’s such a critical part to their direct play, and is an expert in laying off direct balls to his strike partner Lee Gregory. He’s won nearly 300 aerial duels in the season so far – more than any player in the league. With so much of the direct play going through him, stopping the Welshman will be key to keeping the Lions out. There’s no doubt about it, this is going to be a really tough game. Many have called this out as the game that’s most likely to end our winning run, and it’s easy to see why. Both sides have incredible unbeaten runs going into this game, and both know that only a win will do. Something’s surely got to give. “We know how Millwall play, so we can’t be surprised. We’re ready for everything. Every team has strengths, and weaknesses”.